Life Happens 365 - Are You Managing the Risk? This blog is dedicated to helping people and businesses owners navigate the many pitfalls of risk management and to help them recover from the unending unexpected things that happen to us as we plan our lives and run our businesses. While every trucker knows that over the commercial truck insurance is expensive, they also realize it’s a necessary part of doing business as a trucker. That being said, all trucking insurance policies are not created equal. As you know, hauling cargo long distance is a risky business. Aside from the risk of damage to the truck, there are also other factors that come into play, including damage or loss to the cargo, not to mention theft of the cargo or truck itself. Commercial truck insurance is designed to help truck owners mitigate the risks to themselves and their drivers. If you are an owner operator this doubles the potential for liability in the event of a crash or theft. Statistically speaking, the incidence of fatal crashes involving a truck increased 28% between 2009 and 2016 according to the Federal Motor Carrier Association (FMCSA). In 2016 alone, the FMCSA also reported that 4,400 commercial trucks and buses were involved in fatal crashes. This does not include the other 475,000 non-fatal crashes reported by the police in 2016, 62% of which involved two or more vehicles. Single-vehicle crashes made up 22% of all fatal crashes, 14% of all injury crashes and 24% of all property damage crashes involving trucks in 2016. 1. Financial Responsibility – Not only do truckers have to take financial responsibility for everything that happens when their truck hits the road, they also have a responsibility when the truck is parked at a truck stop, gas station or even in their own driveway. 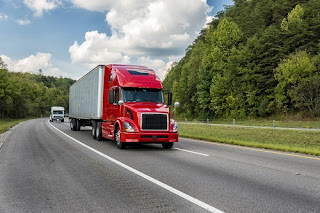 Additionally, before a trucker can obtain general truck insurance, they are required to demonstrate their ability to take financial responsibility for any damage made by their truck to the public. 2. Physical Damage – Obviously, the most important asset any trucker owns is their truck. Physical damage coverage is the portion of the policy that relates to repairs your truck would need if it became involved in an accident. This includes collision coverage and comprehensive coverage. The difference between the two is that comprehensive coverage will help you repair your truck were an Act of God to be responsible for the damage. Should your truck be damaged by hail or blown over by a windstorm, you’ll appreciate this part of the policy. This is also a reason to beware of insurance agents who give you a low-ball quote by excluding physical damage coverage from the policy. Spend enough time on the road and you’ll appreciate why you need physical damage coverage. 3. Primary Liability Insurance versus General Liability Insurance– As I pointed out earlier, not all truck insurance is created equal. This goes doubly when it comes to liability insurance. That’s because there are two types of truck-related liability insurance: General and Primary. Primary liability insurance covers any damage done by your truck or trailer. General liability insurance, on the other hand, covers you should you be sued due to an incident caused by or related to your truck. While both forms of liability coverage are important to mitigate certain over the road risks, there are still some gaps that need to be filled to cover you fully. 4. Do you own your truck? – If you are an owner operator, you need what is known in the industry as Bobtail or Deadhead insurance. Since you will sometimes drive your truck without a trailer, Bobtail insurance protects you between loads. As a rule, trucking companies will not hire independent owner operators unless they carry Bobtail insurance. This covers the carrier should the truck be in an accident without the trailer but while under dispatch. 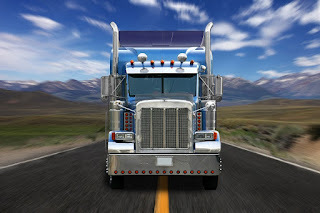 Bobtail insurance should not be confused with non-trucking liability insurance, which is a separate policy that covers independent drivers when they are driving their rigs when not under dispatch. The amount you spend on these policies depends on how much coverage you desire. 5. How much over the road experience do you have? 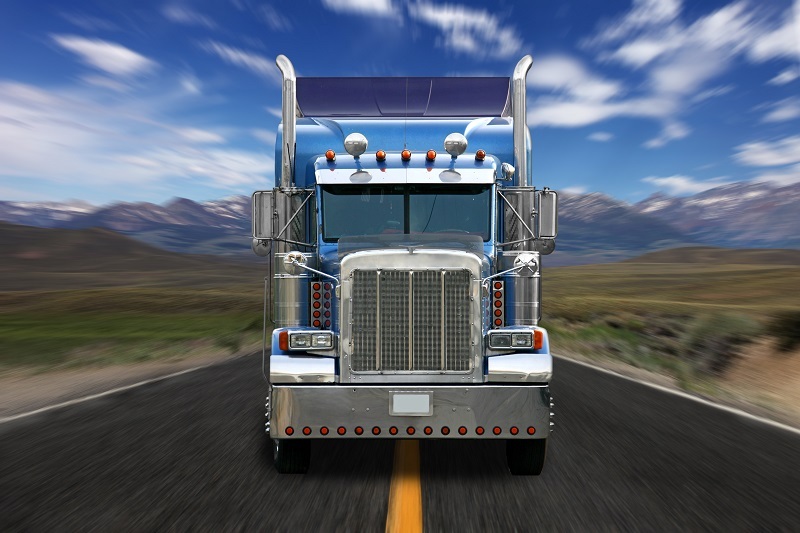 – When it comes to truck insurance coverage, this is where the rubber meets the road. So do other personal factors such as your driving record, and even credit scores have a bearing on how much you pay for coverage. Even how your truck is equipped can have a bearing on your premiums. Did you know you can save by having air bags, ? Don’t be surprised if your premiums are higher than other truckers you know if they have more on the road experience and a cleaner driving record than you do. Speaking of driving records, make sure your logbook and/or ELD is up to date, since violations can also result in higher premiums. Since it isn’t unusual for trucking firms to use multiple trucks to deliver a load, this is why trailer interchange policies are important coverage to consider. If you or the company you work for make it a policy of passing trailers from one truck to another, you need to look into this coverage. 7. What is the optimum deductible? – As well as the type and amount of coverage you choose to carry, the cost of your premiums will also be affected by the deductible you choose. Typically, deductibles can be set as low as $500 and a high as $2,000. The difference will determine how much out of pocket expense you’ll pay should you need to file a claim. Determining the optimum deductible comes down to your experience and driving record. If you have years of experience and rarely file a claim, a higher deductible could make sense. 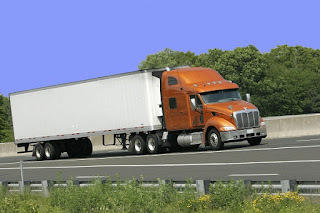 If you have little trucking experience, a lower deductible is usually the way to go. Can Having the Right Truck Insurance Help You Get More Jobs? While commercial truck insurance might eat into your profits a bit, not having the right coverage could cost you big if the worse should happen. That’s the bad news. The good news is that having the right commercial coverage will not only give you the confidence that can help build your trucking business, it will also give carriers you want to work for confidence to hire you. Diane Tait is owner of A&B Insurance in Jacksonville, Florida. We at A&B Insurance understand the struggle and aggravations of trucking insurance and are here to help with all your insurance needs. We strive to make it easy and are committed to working for YOU the customer! Thanks to the BEST Agency Owner I Know, I am proud to say we stay up to date on the changes in the industry and provide the absolute Best possible options for our insureds. I am Proud to be a part of the A&B Insurance Team! We strive to provide the absolute Best options for our clients as we know the struggle and aggravations that come with the transportation industry. Please only leave comments related to the article you are posting under. Unrelated or spam posting will be deleted. It’s that time of year again when boaters of all stripes take to the water.Unfortunately, summer is also the time of year when more boat accidents and sinking's occurred. 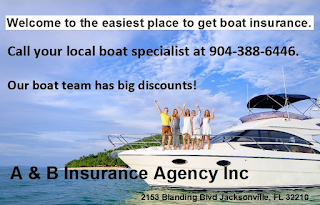 While we at A&B Insurance can’t help you become a better boater, we can help you find the right coverage for your boat at the best rates. If you own your home, chances are you have homeowner’s insurance.That’s because your home and everything in it represents a huge investment.Should the worst come to pass and a fire should break out in your home, or a pipe should burst, you don’t want to dig deep to cover the costs.If a burglar breaks in and steals your most precious possessions, you want to be able to make yourself whole without digging a hole in your wallet.That’s why you carry homeowner’s insurance.